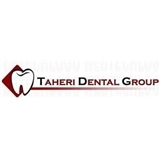 Taheri Dental Group Family Dentistry (Woodbridge) - Book Appointment Online! The staff of the Taheri Dental Group is committed to providing clients with the highest level of quality care possible in a comfortable and relaxing environment. Our assistants, hygienists and dental office staff provide friendly and helpful service. We are ready to answer any questions, explain all treatment options, and address any concerns you might have.